Need support to appeal an NDIS decision? Welcome to the February edition of News from DCSI for the SA disability sector. With developments and changes occurring at such a pace across our sector it's essential that we keep up to date and share important information to ensure continuity for the people we support. In this edition, we have information about the ongoing funding arrangements for important services which may not be covered by the scope of the NDIS. Also in this edition are details about the ground-breaking announcement that staff from Child and Youth Services - in a first for Australia - will set up an employee-led Mutual to provide Early Childhood Early Intervention (ECEI) services under the NDIS, while also continuing to provide therapy services. Please forward this newsletter to everyone who needs this information, or ask them to sign up to receive it via the DCSI website. And if you have any thoughts or feedback on our updated newsletter format, please let us know via email. The State Government and the Department for Communities and Social Inclusion are committed to ensuring South Australians with disability, along with their families and carers, have a smooth transition to the NDIS. One of the key factors that will help to achieve a successful transition is the continuity of services for our clients. There are some important disability services in South Australia that should be maintained but may not be covered under the NDIS. Some of you have been asking about the future of these services. We therefore thought it was timely to provide an update on some of these important services. The Centre for Disability Health (CDH) transferred to SA Health last December, and is continuing to operate. The Centre's staff are currently working on a revised model of care. Funding will continue for the Exceptional Needs Unit (ENU) through 2021-22. We’re currently reviewing this service to ensure it meets the needs of our clients and the broader South Australian community. The review should be completed in around three months, and will include the views of all relevant stakeholders. Funding will also continue for the Community Visitor Scheme through 2018-19 while a national review of such schemes is undertaken, as part of the new NDIS Quality and Safeguards framework. The South Australian Artificial Limb Service (SAALS) will continue to receive funding through 2021-22 for non-NDIS eligible clients under SA Health, and funding will also continue for the Independent Living Equipment Program (ILEP) through 2021-22. We're very proud to announce that in a first for Australia, current South Australian Government staff from Child and Youth Services (CYS) will set up an employee-led Mutual to provide Early Childhood Early Intervention (ECEI) services under the NDIS. The State Government has signed a grant agreement with the NDIA which will see the employee-led Mutual be the ECEI partner for South Australia. The Mutual - endorsed by the national representative peak body - will be operational later this year. It will develop a state-wide service for families with children with disability and developmental delay, connecting them with the NDIA and existing service providers. The employee-led Mutual will also continue to provide existing CYS clients with therapy services where there are no conflicts of interest. From 1 March, DCSI will deliver the ECEI service in both metropolitan and country areas. Families and carers of clients being referred to this service can phone 1800 931 190 or visit www.dcsi.sa.gov.au/ndis for more information. 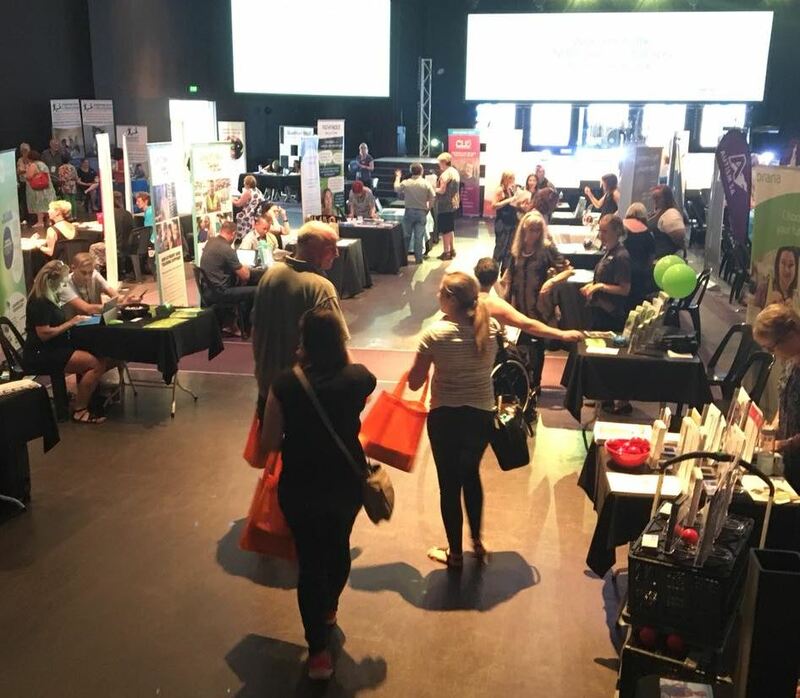 Our NDIS Community Expos continue in 2018, with over 250 community members, disability service providers and training organisations attending the Eastern Adelaide expo at Paradise last week. Another NDIS Community Expo is scheduled for Hahndorf (Adelaide Hills Convention Centre) on Friday 9 March for communities living in the Adelaide Hills region. You can register online now as an attendee or an expo stallholder. More information about the NDIS Community Expos can be found at www.mysupportmychoice.sa.gov.au. The NDIA are also holding a further series of Community Information sessions for people with disability, their families and carers in the Eastern, Western and Adelaide Hills regions leading up to the 1 April start of the roll out. You can read the schedule here. The Adelaide NDIS provider Forum on 27 February is now fully subscribed and no more tickets are available. If you missed out on a ticket, a webinar is planned for 24 April 2018 and all presentations from the events will also be made available in April. Online registrations for the webinar are now open. Do you know anyone who could make a contribution? The NDIA is seeking feedback from NDIS participants and carers to make sure their new information material is accessible, engaging and effective. The research will be held as an online forum on a weekday evening for around an hour. Anyone interested in participating will need access to a computer and a high-speed internet connection. Places in the online forum are limited, so not everyone will be contacted. You can get more information and register here. Please share this information with anyone that you think should, or would like to, participate. Do you know an amazing volunteer? 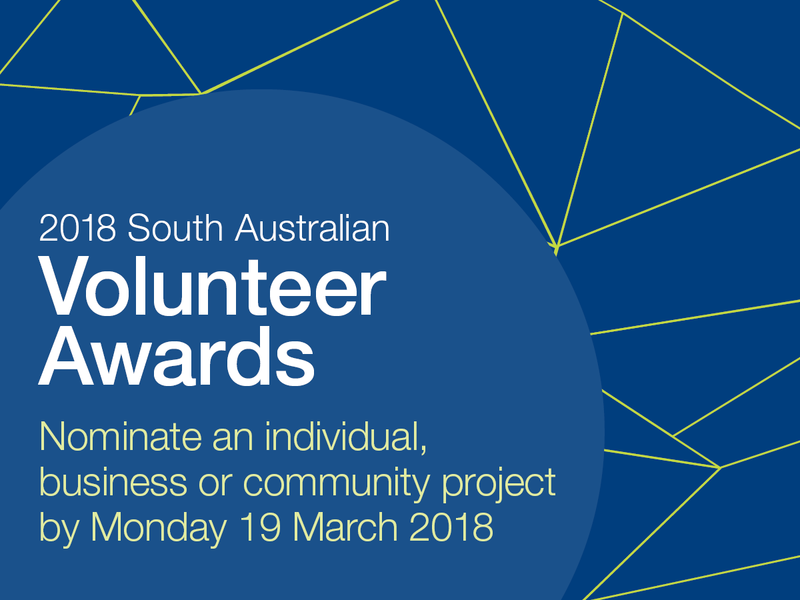 Nominations for the 2018 South Australian Volunteer Awards are now open! The awards are a great way to recognise the outstanding contributions made by individuals, businesses and community projects. Whether it’s helping a neighbour with day-to-day tasks, assisting at a community event, or fighting bushfires, we’ve all benefitted from the work of volunteers. The Centre for Cultural Diversity in Disability (CCDD) has been hosting a series of CALD and Disability Symposiums to support people with disability from CALD backgrounds, their families and communities to navigate the challenges and harness the opportunities of the NDIS. The 3rd CALD and Disability Symposium at HMCC Hall Mile End on Tuesday 13 March focuses on the CALD experience of navigating the transition, the importance of understanding the review and appeals processes and engaging with relevant and responsive supports and resources. Speakers include Dr David Caudrey, the Director of the Disability Policy Unit at DCSI and Dwayne Cranfield the CEO and Margherita Coppolino the President of the National Ethnic Disability Alliance (NEDA). View details of the full program here. JFA Purple Orange and Sam Paior, parent and advocate, will present an NDIS event specifically for people living with intellectual disability and families. It will cover topics including: what the NDIS and who is eligible; preparation and planning, and: choosing and managing your supports. Brain Injury SA is funded by the Commonwealth Government to provide a support service for NDIS Appeals in South Australia and Barkly, Northern Territory. This includes decisions about the level and type of support in a participant's plan and decisions about whether a person meets the access criteria. The Appeals Officers assist with internal reviews through the NDIA and external reviews through the Administrative Appeals Tribunal. In particular, the Appeals Officers assist with drafting applications, providing confidential advice, supporting applicants and families to self-advocate, and obtaining legal funding, where appropriate. 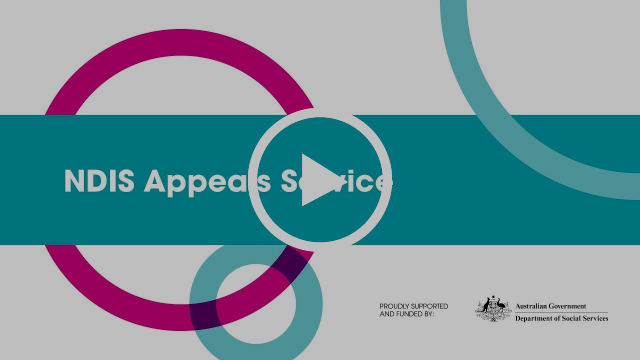 Further information about Brain Injury SA's NDIS Appeals support service can be found here. Over 80 people, many from city councils around greater Adelaide, attended the Changing Places Forum held on Friday 16 February 2018. 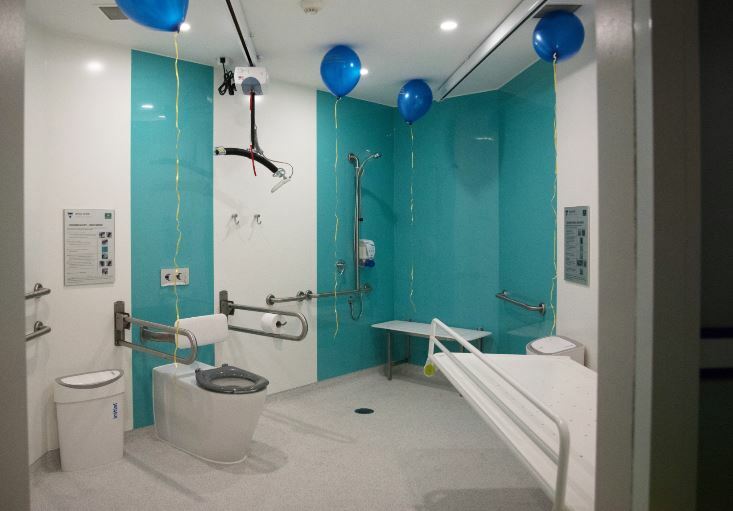 Changing Places toilets provide a centrally placed peninsula toilet, a safe and clean environment, a room coverage hoist system, enough space and an adjustable height adult-sized change table. The Forum introduced council staff to the concept, informed everyone about the need for and benefits of Changing Places, and provided the Disability Policy Unit with many networking and information opportunities for the future, as we work to increase the number of the facilities in South Australia. Everyone has the right to equal access to essential services such as energy, water, telecommunications and transport. 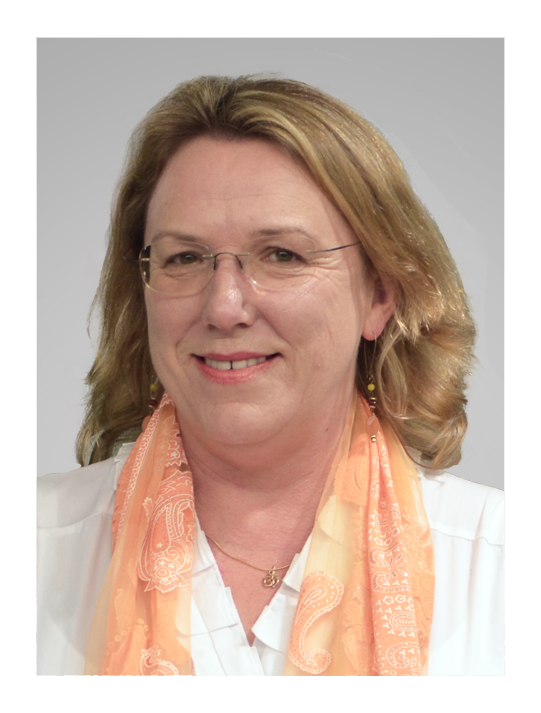 The South Australian Council of Social Service (SACOSS) Disability and Essential Services Conference 2018 will bring together government, businesses, community sector workers including disability advocates, service providers and consumers living with disability - including families and carers - in the energy, water, telecommunications and transport space. Delegates will share and hear about the needs and experiences of those living with a disability and explore how essential service businesses can address disadvantage for those in vulnerable situations. The SACOSS Disability and Essential Services Conference 2018 will be held at the Adelaide Oval Monday 14 May. 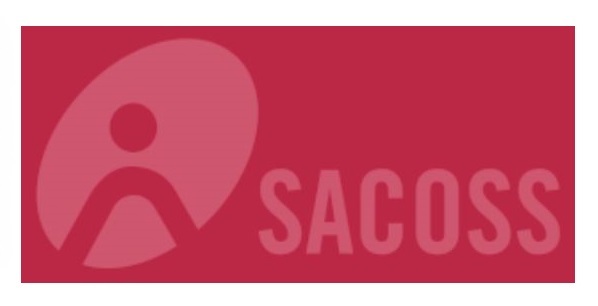 If you are on a low income and living with disability, please contact SACOSS as they may be able to help subsidise your place. Call (08) 8305 4224 or email: gabie@sacoss.org.au for more information. Copyright © 2018 Department of Human Services, All rights reserved.